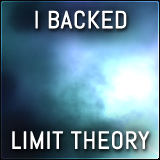 First of all, I'd like to sincerely thank everyone who has already taken the time to check out Limit Theory and, whether you've backed or not, I appreciate you taking a peek! 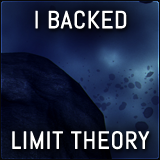 20% of total reached! This is awesome, especially considering that LT is not a typical "start with a bang of publicity" project. #6 on Kicktraq's hot seven! That puts us on the front page of kicktraq.com! Awesome. 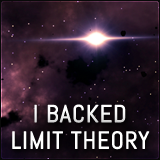 ~15% yield on backing. In other words, about 3 out of every 20 people to watch the video choose to back. I don't know much about what a typical yield is, but that sounds quite good to me! $20K Living Expense ~ I'm going to need support for the year that I'm taking off from college in order to develop LT. $20K will be enough to cover all of my living expenses for at least a year and a half, should I need to extend the development process. 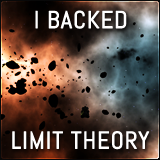 $10K Backer Rewards ~ Well, of course I need to deliver on those pledges! At first I was budgeting about 20% for rewards and calculating tier costs accordingly, but, with so many people springing for digital-only rewards, this cost may end up being significantly less than anticipated. If that's the case, the extra budget from here will spill over to the "Everything Else" pool. $5K KS / Amazon's Cut ~ Can't really avoid this one! 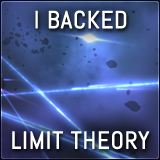 $5K Sound Design and Assets ~ Obviously LT has very few artist-created assets due to the procedural technology, but sound effects and music are both going to be artist-created. I will be composing the music myself (more to come on that in the future! ), but will need to hire someone for the SFX. I've also put "and Assets" just in case any asset-related costs arise that I have not foreseen. But, for the moment, I'm fairly sure that all I will need are sound effects. $5K Development Equipment ~ Unfortunately, I do need some new equipment. In particular, I will need to replace my laptop with one that is suitable for serious development. In addition, I would like to purchase an Oculus Rift dev kit, in the hopes of including Rift support in LT. Finally, I will also need to purchase a Mac-based machine so that I can work on porting. $5K Everything Else ~ I add this both because $45,000 is a rather awkward budget, but also because one never knows what costs might arise. In particular, costs associated with deployment and website maintenance would fall into this category. 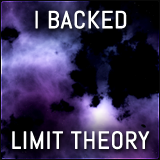 Overall, I think it's quite a lean budget, and I'm very much looking forward to proving that $50K is all it takes to build a game like Limit Theory! Thanks again to everyone! 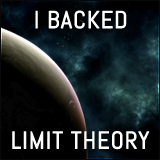 Hope to see you in the comments section and on forums.ltheory.com!